In my Top 3 podcasts for writers and fans! Looking for podcasts for writers, especially genre writers, I found Beyond the Trope. It quickly grew on me. They have seriously great interviews, on air critiques and always a lot of laughs. They keep it short and sweet and I love listening. This podcast is great for anyone who is new to writing. They don't only talk about the fundamentals of writing but also the business side of things. I love hearing the inns and outs of the industry as well as the friendly banter between the house. Their guests are great and I'm learning lots! This show is the bomb! No matter how stressed I get about writing, or how lost with a problem, this show always makes me feel better. I started landscaping this summer and stumbled upon this podcast while looking for things to listen to at work. It totally reignited my passion for writing with great episodes about the industry, writing tips, great interviews with published authors-lots of fun stuff! I especially enjoyed hearing Blair MacGregor talk fight scenes and the interview with Tamora pierce. Been listening to this podcast for over a year, and it never fails to entertain. Perfect for lovers of genre fiction reading & writing. I finished listening to episode 91 of Beyond the Trope podcast last night with Susan Spann talking about intellectual property rights, the laws wrapped around those, and what every writer should know. It's a GREAT chunk of information and well worth the 38 minutes it'll take you to listen to it. Fun and Informative -- What More Could You Want? The three hosts -- Emily, Michelle and Giles -- have great chemistry. The various topics regarding the craft and life of writing are explored in-depth, with interviews of established writers peppered in to provide outside perspectives. They also have a great sense of humor. Highly recommended! The hosts are a delightfully wacky trio who interview a range of writers and talk about their own trials and tribulations with their work. 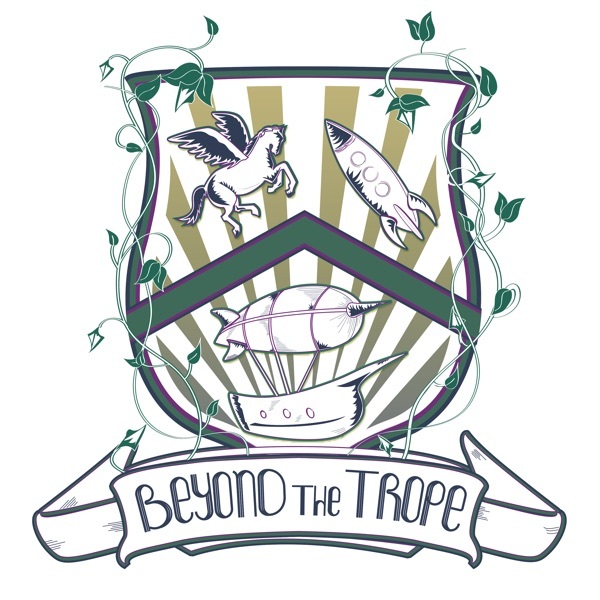 Beyond the Trope is also a nice balance with the other writing/geek podcasts out there given its two female voices. The show is a little rougher around the edges but itâs better for that and keeps me listening. This is a great podcast! Production value is great, the hosts have excellent chemistry that comes through naturally. I look forward to new episodes every week, and when I'm listening I feel like I'm part of the conversation (and sometimes try to jump in). Most podcasts take some time to flesh out how they're structured, how they work. Not the case here, their episodes have been of consistent quality right from the start. Looking forward to more episodes. Itâs a lot of fun to listen to, and the interaction inspires me to find and create great literature. Funny, geeky, for writers, readers, and Browncoats alike. Awesome!